Tucson, it is with great honor and pleasure that alongside our sponsors we are able to once again honor many women from various walks of life who go above and beyond every day to influence the lives of others. Over the past 15 years, the women we have honored exemplify the hard work it takes to own a business, serve the community through volunteerism, mentor our children, work tirelessly in various professions and bring art and culture to our families. In total we had over 210 nominations, with 58 finalists in 20 categories. We are thrilled to honor all of these women and I know we agree they are all outstanding in their accomplishments and great examples of what a Woman of Influence can be. Karen Cesare was born Karen Wedge in Phoenix, and is a third-generation Arizonan. A registered landscape architect in Arizona and California, she owns and operates Novak Environmental, Inc., a landscape architecture firm, since 1998. Karen holds Bachelor’s and Master’s degrees in Landscape Architecture from the University of Arizona. In 2018 the Arizona Chapter of the American Society of Landscape Architects named Karen “Landscape Architect of the Year” for her service to the profession and in recognition of her twenty successful years in business. Karen has worked in private and public sectors. Her projects include master-planned communities, habitat restorations, river parks and commercial developments. Her firm has received many local and state-wide awards. She is proud of being one of the women who designed the UA’s Women’s Plaza of Honor. Karen was appointed by the Governor to the Arizona State Board of Technical Registration, from 2007-2010, which she chaired for two years. In 2014, Karen was elected to a six-year term on the Central Arizona Project Board of Directors representing Pima County. Karen serves on three CAP sub-committees, including Public Policy, which she chairs. As a member of the Arizona Drought Contingency Plan Steering Committee she played a role in the recent success of the AZDCP. 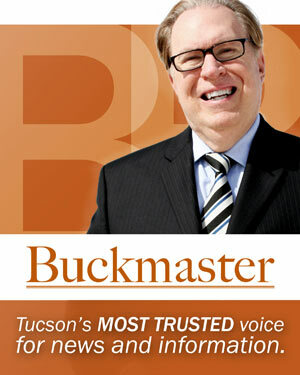 Karen is a regular guest on The Bill Buckmaster Show, discussing water. Karen served on several local boards including Lohse-Family YMCA, Pima County Parks and Recreation and Tucson Water’s CWAC. Karen is happily married to Jeffrey Cesare, they have three adult children, Nick, Cristi and Angelique. V’Eanna Marsden’s passion for helping others is demonstrated by her work at Alive Church. All her life, people and their needs have been at the top of her priority list, starting at a very young age. As the volunteer coordinator, V’Eanna helps new people wanting to serve in the local church and the Tucson community. Living in her church’s mission of “Leading people who are far from God to be followers of Jesus,” she works every day to achieve that goal. V’Eanna, along with her husband Andrew, have been involved in youth ministry for the last five years. She is on call 24/7 as a small group leader for high school and has mentored girls from their freshman year to grown young women now in their senior year of high school. She teaches fourth and fifth grade Sunday school every weekend and plans to continue teaching the same group of kids until their senior year of high school. Leadership and Administration work is no stranger. V’Eanna served as president for Catalina Council Venturing Officers Association of Southern Arizona. She was also president of her local Venture Crew and has received the Venturing Leadership award. V’Eanna has also been awarded the John Paul II achievement. V’Eanna has a deep love for her hometown of Tucson and will continue to help people to change her community for the better. Mary-Beth Cabana was a principal dancer with Cleveland Ballet, Ballet Oklahoma, Arizona Dance Theatre and San Diego Ballet. She began her professional career at 14 with Pittsburgh Ballet Theatre. As a leading ballerina, she performed extensively in the U.S. and Europe, performing roles by noted choreographers such as Petipa, Balanchine, Tudor and DeMille. She has been on the faculties of National Academy of Dance, Cleveland Ballet and Ballet Arts- Carnegie Hall, and was principal instructor and administrator for Arizona Dance Theatre (Ballet Arizona). Her master teaching credits include Kiev, Ukraine Ballet, Palace of Pioneers in the former Soviet Union, Ballet Pacifica (under the direction of Ethan Stiefel), Burklyn Ballet Theater, Blue Lake Fine Arts Camp and other prestigious training programs in France, Mexico and the U.S. Starting her own training school and founding what has become Ballet Tucson in 1986, she has successfully developed a nationally recognized and respected dance school and professional ballet company. Ballet Tucson , currently in its 33rd year, is the only professional ballet company serving Tucson and Southern Arizona. For three and a half decades Mary-Beth has facilitated world class dance productions that have included historic classics and cutting-edge contemporary ballets. She has been nominated for a lifetime achievement award by the Tucson Pima Arts Council and recognized as an outstanding individual artist by the governor of the State of Arizona. Her pioneering efforts in the development of branch programs and outreach throughout Arizona, and her unwavering dedication to the promotion of the art form of classical ballet, continues to inspire a new generation of dancers and dance lovers. Dr. Judy Huch has started and participated in several corporations, including Oro Valley Audiology (1998), Tanque Verde Audiology (2001),Grace Hearing Center (2016) and Hearing Health and Technology blog (2013). Judy has dispensed hearing aids since 1991, discovering her gift of solving problems. The goal of her businesses is to provide excellent patient centered care with technology that matches the individual. Judy’s nonprofit division, Grace Hearing Center, provides a model of excellent hearing healthcare to the underserved and underinsured of Southern Arizona. There are two clinics, one in El Rio Congress and one on Grant Road. She participates in Hearing Missions with Entheos Audiology Co-op around the globe each year, on which she sometimes brings her husband and teenage boys, helping to give back and provide audiology services to those without access. Judy was appointed by Gov. Doug Ducey as a State Commissioner for the Arizona Commission for the Deaf and Hard of Hearing in 2016, and is currently serving her second term. She was also chosen to represent Arizona audiologists for the Audiology Project to bring Diabetes Educators, physicians and other Allied Healthcare Providers together to increase the awareness of hearing loss with many chronic diseases. Judy is on the Board of Arizona Audiology Coalition, and serves on American Academy of Audiology Task force for Public Awareness. She was also awarded a fellowship with the OpEd Project in 2017 and Humanitarian of the Year from AT Still University Alumni. For more than a quarter century, Carrie Brennan has had a deep impact on the Southern Arizona education sector and on generations of students. Carrie played key roles in launching two of the region’s most interesting and innovative schools: Catalina Foothills High School and City High School. In 1992 she joined the founding faculty at Catalina Foothills High School, serving as teacher and department chair for the first 11 years of the school. She then became founding principal of City High School, creating its nonprofit in 2002 and opening its doors in September 2004. Carrie continues to lead CITY Center for Collaborative Learning, whose flagship programs include City High School and Paulo Freire Freedom schools, serving more than 300 students. To broaden its mission and impact further, she is currently championing the renovation of downtown Tucson’s historic Howard & Stofft building on Pennington Street into a modern learning center for Southern Arizona educators. Carrie advances educational innovation widely, having served on the Community Foundation for Southern Arizona board for three terms and currently serving on the boards of the Downtown Tucson Partnership, the UA College of Education advisory board and the School Reform Initiative’s national board. She has earned the Circle of Honor award recognizing Arizona’s top 1 percent of principals in 2008, the Southern Arizona Writing Project’s Exemplary Teacher Award in 2002 and named a Tucson’s 40-Under-40 young community leaders in 2006. Through her vision, passion, and hard work, she has positively influenced educational reform in our region deeply and widely. Sandra Barton is Senior Vice President, Regional Manager I, for Alliance Bank of Arizona, where she funds commercial construction, acquisition and development, term and RLC loans. Based in Tucson, she serves clients throughout southern Arizona. Sandra followed her parents’ career path into banking. In Mexico, her father was an agricultural lender and her mother was the loan secretary. With more than 30 years of banking industry experience in all, Sandra joined Alliance Bank of Arizona in 2009. She is active in the Pima County Real Estate Research Council and has won a Certified Commercial Investment Member Forecast Competition and a Member-to-Member Award for CREW Tucson where she is also a Board Member. Sandra is also this year’s President for Executive Connection, a women’s business group, and is also a board member for Tucson Industrial Development Authority. She is a past president of the National Charity League, Tucson chapter. Sandra graduated from the University of Arizona with a Bachelor of Science degree in Finance. Samantha Jesser is the head brewer and co-owner of Copper Brothel Brewery in Sonoita. Samantha was born and raised on the eastern plains of Colorado and attended college at Colorado State University. After deciding to leave her career as a US Customs Broker at an international logistics firm in Denver, she moved to Sonoita to be closer to family. Shortly after moving south, the idea of opening Copper Brothel Brewery with her mom, Cheryl was born. Their goal was to add to the economic environment of the county, employing 27 people, most of which are locals. They also strived to introduce the community to craft beer while providing a fun, relaxing environment for both locals and tourists to enjoy homemade dishes.Growing up in Northern Colorado, surrounded by breweries, Samantha developed a sophisticated palate for great beer, which comes in handy on brew days. Her greatest strength as a brewer is finding balance and consistency in every beer she brews, leaning towards the roasted malt forward stouts and porters. Samantha has always enjoyed cooking and has also contributed many of her hearty recipes to the brewery’s scratch kitchen. Dr. Margaret (Margie) Balfour is a psychiatrist and national leader in quality improvement and behavioral health crisis services. 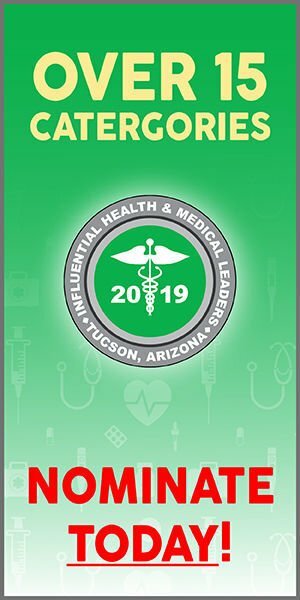 She is the Chief of Quality and Clinical Innovation at ConnectionsAZ, which provides 24/7 access to mental health and substance use care throughout Arizona, and an Assistant Professor of Psychiatry at UA. Dr. Balfour came to Tucson in 2014 to lead the turnaround of the Crisis Response Center (CRC), which was created with county bonds to provide an alternative to jail for people with mental health and substance use needs. Under her leadership, the CRC achieved significant improvements in the timeliness and quality of care; it is now recognized as a national model and regularly hosts visitors from around the country. Dr. Balfour frequently publishes, speaks, and consults on topics including outcome measurement, emergency psychiatry, and law enforcement responses to mental illness. Dr. Balfour was named the 2017 Doctor of the Year by the National Council for Behavioral Health and received the Tucson Police Department’s medal of honor for her efforts to help law enforcement better serve the mentally ill population. She is a co-author of the book People with Mental Illness in the Criminal Justice System: Answering a Cry for Help. She serves on numerous national boards and advisory councils, and locally the NAMI Southern Arizona board. She earned both an MD and PhD in Neuroscience from the University of Cincinnati and completed residency and fellowship in Public Psychiatry at the University of Texas Southwestern Medical Center Dallas. Attorney Heather M. Strickland is a leading expert in Arizona family-building law. She works with hopeful parents and birth mothers on all kinds of emotional, life-changing adoption journeys – including several hundred foster care adoptions a year, private adoptions, and LGBT family formation. In the area of assisted reproduction technology law, Heather helps couples and individuals build their families through egg, sperm and embryo donation agreements, gestational carrier matters and parentage orders. She also has extensive litigation experience including contested adoptions, maternity/paternity issues, termination of parental rights, divorce, child custody, and child support. A native Tucsonan and graduate of the University of Arizona James E. Rogers College of Law, Heather began her legal career in 2005. In 2013 she became partners with Scott Myers, Tucson’s foremost adoption attorney since 1975, creating MyersStrickland, PLLC. In 2014 Heather was named a Fellow of the prestigious Academy of Adoption & Assisted Reproduction Attorneys and sits on their Board of Trustees. She is honored to be recognized as a Legal Champion finalist for Tucson’s “2019 Women of Influence” awards, and “2017 Angel in Adoption” by the Congressional Coalition on Adoption Institute for dedication to positive child welfare practices. Heather is also a proud member of the State Bar of Arizona, Pima County Bar Association, Arizona Women Lawyers Association, Military Spouse JD Network, and American Society for Reproductive Medicine. She enjoys life with her husband and two rambunctious boys. If she finds spare time, she enjoys cooking, gardening, yoga and traveling to far-off places. Dr. Kayla Boyer was born and raised in Oklahoma. She obtained her doctorate in veterinary medicine from Oklahoma State University in 1995. After a year practicing equine medicine on the East Coast, Kayla relocated to Tucson to focus on small animal medicine. In 1998, Kayla founded Speedway Veterinary Hospital. Kayla feels fortunate to have been practicing veterinary medicine and surgery for 23 years and continues to love her job, patients, clients and staff. She still believes in the power of the human-animal bond and is grateful to play a role in bettering the lives of her patients and the people they own. Sonia Valencia Economou is an eighth-generation Arizonan and a sixth-generation Tucsonan. She is president of the Board of Directors at the YWCA of Southern Arizona and is committed to serving her Tucson community as a change-maker and advocate for eliminating racism, empowering women and promoting peace, justice, freedom and dignity for all. Sonia has been employed in the public, private and nonprofit sectors in Tucson, including 20 years at the UA and as an entrepreneur. She currently leads a cancer research development team at HTG Molecular Diagnostics. Sonia received her Bachelor’s degree from UA, her Master’s degree from NAU and a graduate certificate from ASU. Sonia has been married to Mark Economou for more than 22 years and they have a 17-year-old son, Victor, and a daughter, Ariana, who passed away from cancer five years ago at age 14. Mary Rittmann currently leads the PR and communications team at Visit Tucson and has been involved in Arizona tourism for 17 years. Prior to this, she worked for the Arizona Office of Tourism and the City of Chandler. Born and raised in Wisconsin, Mary lived around the country throughout her 30-year career before having the good sense to settle in Tucson. In her free time, she enjoys discovering new destinations, reading and DIY projects. Recently, she took a mosaic class in Italy which combined her love of travel and hands-on projects. Sarah attended college on scholarships for soccer, track and field, and cross country. She earned a Bachelor of Arts in Humanities from Jefferson State College. Sarah’s desire to help the community lead her career in law enforcement where she has worked more than 10 years as a police officer, crisis intervention technician, and undercover officer in the Street Crimes Interdiction Unit. She is a member of SAATURN (Southern Arizona Anti-Trafficking Unified Response Network). Sarah has been a teacher and mentor for students at the Pima Community College for four years. Denisse Angulo-Badilla was born and raised in Hermosillo, Sonora, Mexico. She began her career after earning her International Business Bachelor’s Degree from Tec de Monterrey in Mexico and attending the Eller College at the University of Arizona as an international student. She began with Cushman & Wakefield | PICOR in 2005 as an intern as coordinator of the Alpha Group where she focused her efforts in the industrial market. Denisse officially joined the firm the following year where she has helped the company reach underserved markets in southern Arizona as well as the Mexican market, also working to bring investment into the Tucson region. Denisse is the only female licensed real estate agent in the community doing business on both sides of the Arizona/Sonora border. She has done so for more than a decade, representing both owner and tenant real estate requirements in both English and Spanish. She volunteers at Luz y Vida para la Familia, a Christian center located in South Tucson, helping people reach their potential and strive to live to the fullest through a purpose-driven lens. She is a member of or has participated with Tucson Hispanic Chamber of Commerce, Arizona-Mexico Commission, Nogales Chamber of Commerce, CEPHA (Camara de Empresarios y Profesionistas Hispanos de Arizona), and has volunteered for Radio Vida KEVT and Big Brother Big Sister. Denisse is married and mom to a three year old. Janet Hare is the director of sales and marketing for the Doubletree Hotel Reid Park, and has an extensive three-decade career in sales management, marketing, tourism and hospitality. As a native Tucsonan, Janet brings a passion for sharing the beauty and uniqueness of the local community through tourism. Janet is co-founder of Coaches for Charity, a nonprofit which provides scholarships for student athletes, and is an active board member of the Nova Home Loans Arizona Bowl. Throughout her career, Janet has been involved in numerous philanthropic boards, including Reid Park Zoo and Tucson Audubon. She has been successful in her career, as well in her personal life. Meeting Trevor while they were students at the University of Arizona, the two have been married for over 30 years, raising two lovely daughters. Rosalind Prather is a third-generation small business owner and nationally recognized entrepreneur who opened her first business at the age of 23. She co-founded Trusting Connections Nanny Agency in Tucson, and helped grow the small, two-woman operation to become one of the fastest growing nanny agencies in the country—and oversaw the company’s expansion into the Dallas-Fort Worth, Texas and Phoenix markets. Trusting Connections has been the recipient of numerous awards, including “Service Firm of the Year” and “Best in Industry” and reached the $1 million mark in a little over five years of business. Rosalind has made appearances on KGUN 9 News and News 4 KVOA as a local childcare expert, and has been a frequent speaker for multiple business organizations. She is also a talented business coach that has helped numerous small businesses flourish. Above all, Rosalind is the proud mother of two girls and has a deep understanding of the joys and struggles of family life and parenting. As a successful “momtrepreneur,” Rosalind is very passionate about sharing her insights with women to inspire them to believe that being a mom and a business owner is a beautiful possibility. As a senior engineering fellow at Raytheon, Dr. Katherine Herrick is a strong advocate for women in STEM, and represents a small percentage of female engineers who achieve this level. She holds a Ph.D. in Electrical Engineering from the University of Michigan, has five patents and over 50 technical publications. Katherine’s key technical awards include Outstanding Young Engineer Award of the IEEE Microwave Theory and Techniques Society “For Leadership and Technical Contributions in the development of Compact, High Performance Active and Passive Components for Millimeter-wave Arrays”, the National Academy of Engineering Frontiers of Engineering, and the Raytheon IDS President’s Award. As a role model for women in engineering, Katherine has served on multiple university boards, participated in middle school STEM events, and led Women in Engineering panel sessions at both Raytheon events and international symposia. Her leadership has been demonstrated within the community as President of the Advisory Board for Women in Science and Engineering at The University of Arizona. She is also an active board member on the Electrical and Computer Engineering Council at the University of Michigan. In addition, Katherine participates in her daughter’s afterschool STEM club. As a senior member of IEEE, she has led multiple panel sessions on Women in Engineering at the annual IEEE International Microwave Symposia. As an advocate for women in STEM, she is passionate about helping students of all ages understand how pursuing a STEM field can positively impact society and become a satisfying career. Emily Goff grew up in the small town of Oracle, Arizona surrounded by the beauty of the Sonoran Desert where time spent on her family’s cattle ranch nurtured her deep love for the environment. She attended Northern Arizona University, where she graduated with a Bachelor of Arts in Environmental Studies and a focus on sustainability, community and biocultural diversity. While she was in college, she volunteered as a coach for Girls on the Run, which teaches young girls’ self-confidence and healthy living. Emily went on to get her start in the outdoor industry by working in experiential education. After seven years of teaching, coordinating and guiding, Emily came back to Southern Arizona with a vision of creating a business that encourages people to spend more time outside, push their limits and build connections through community-based activities. Today, Arizona Zipline Adventures is not only an adventure hub for the north side of Mt. Lemmon, but also serves as a community space for all to enjoy. Stephanie Bermudez is a gifted community builder, understanding the nuances of human behavior and how to encourage positive interactions. Her innovative ideas create cross-border communities and environments that expand on bi-national relationships to encourage collaboration and co-inspiration. Stephanie focuses on building up innovation spaces and networks; including events, training, consulting and research. She has a successful background developing co-working and maker spaces having previously developed Connect Coworking in Tucson, and served as a board member and youth mentor at COSHARE: The National Shared Workspace Association. Stephanie is passionate about taking her experiences and shaping bi-national business opportunities with Mexico and the United States. In April 2018, she was recognized and certified by Harvard University, University of Sonora and sonora:lab for her business project, Startup Unidos and for her contributions in Strengthening The Innovation Ecosystem In The State Of Sonora. Stephanie is actively working with startups across the Arizona-Sonora by implementing Startup Unidos; most recently Startup Unidos Youth VozFrontera in Nogales, Arizona, LatinX In Tech in Tucson and Emprende Amigo in the Phoenix area. In October 2018 she was recognized at Idea Funding for initial and future efforts to build the entrepreneurial community in Tucson and received the Larry Hecker and Sherry Hoskinson Bright Futures Award. In December 2016 she was recognized by Arizona Daily Star and Tucson Hispanic Chamber of Commerce as 40 under 40 Woman of the Year and in May 2015 she was recognized by TEDxStarrPassWomen as a Local Leader. Cheri Romanoski, native Tucsonan and a former elementary teacher, earned a degree in education at the University of Arizona. Starting a family prompted a new career direction. Producing fresh fruit preserves for her family and sharing the garden bounty with friends and neighbors eventually translated to the creation of Cheri’s Desert Harvest in 1985. Teaching students about the natural resources of the Sonoran Desert inspired her to preserve indigenous produce with its rich agricultural and culinary history. For over 30 years, Cheri’s company has become the premier producer of food products made from prickly pear cactus fruit, chile peppers, citrus and local honey. The business evolved from a hobby to a national and international venture. Harvesting and processing the prickly pear cactus fruit created multiple food products for Cheri’s Desert Harvest as well as spawning the creation of two new businesses. The “waste not, want not” childhood lesson, inspired Cheri to take the cactus seeds and express the valuable, anti-aging and healing oil from them for the cosmetic industry. Cheri’s Botanics, formed in 2011, is the only company in the western hemisphere to accomplish this. Waste generated from this process is donated as compost to profit two non-profit organizations and the local zoo. Concurrently, Cheri took the excess cactus fruit to use as a natural dye for apparel, starting a third business, Cheri’s Botanic Wear. By using all parts of the fruit not only fulfilled Cheri’s “Waste to Profit” philosophy but also pays homage to Mother Nature’s perfect natural resource.